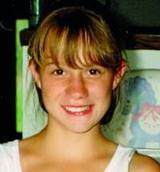 13-year-old Jessyca Mullenberg was kidnapped from her father’s home in Eau Claire, Wisconsin, by her writing teacher, Steven Oliver, on September 16, 1995. Oliver and Jessyca drove to Kansas City, Missouri, and then flew to Houston, Texas. Oliver took Jessyca from motel to motel, presenting himself as her father and physically, sexually, and mentally abusing her. Oliver bought homeschool books and gave Jessyca work out of them; if she did not finish in time, Oliver would hit her or tie her up. Jessyca was rescued after three and a half months in captivity when a motel owner recognized Oliver on America’s Most Wanted.